The Mendocino College North County Center in Willits was recently named a winner in the education category of the North Bay Business Journal’s awards program for Top Real Estate Projects in the North Bay. The North County Center, designed by TLCD Architecture and built by Midstate Construction, opened in the Fall of 2013 and has spurred a growth in the number of students enrolling in classes at the Center. 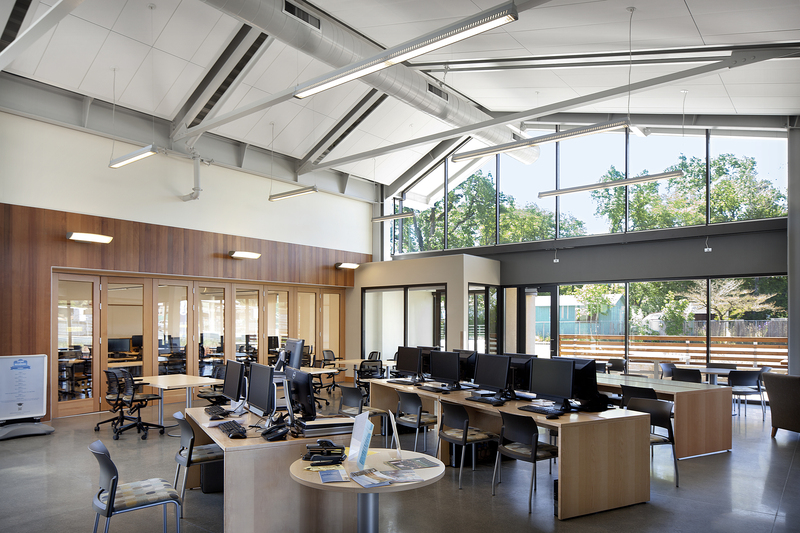 The heart of this facility is the Learning Center, a collaborative learning resource environment with a pair of redwood barn doors that open to administrative space and a wood and glass sliding storefront wall that connects to a computer classroom. The redwood barn doors and redwood board paneling on the interior serves to complement weathering steel panels on the building’s exterior that are slowly oxidizing to a beautiful rust red color. 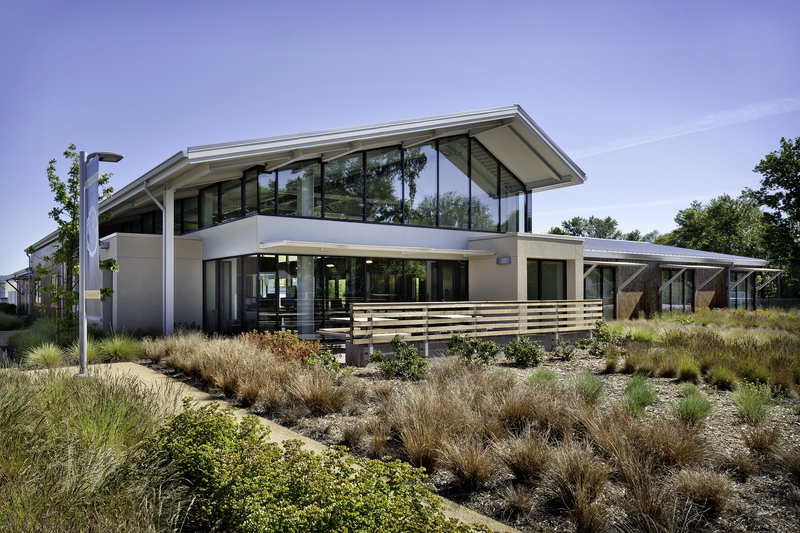 As Project Architect for the North County Center, this was the first project at TLCD that I was able to work on from conceptual design all the way through construction. When my Mom came to town for a visit, this is the project I took her to see. I am anxious to see the final results of this oxidation process so that the complete design vision can be realized (and so we can do the final photography!). I can’t complain though since I got to work with a couple of folks from the College, Mark Rawitsch, Dean of Instruction, and Mike Adams, Director of Facilities Planning, who had to wait more than 25 years to see the North County Center realized! I guess it’s like they say, all good things are worth waiting for.